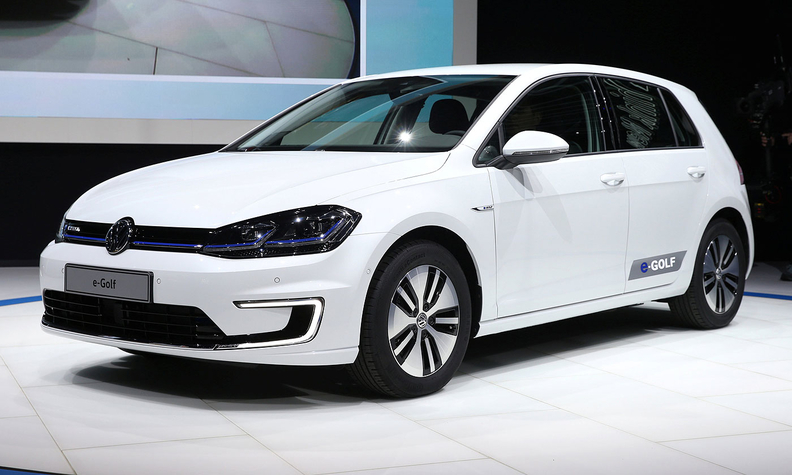 VW revealed the e-Golf to foreshadow the company's plan to launch 30 VW Group EVs by 2025. LOS ANGELES -- Volkswagen plans a freshened e-Golf electric car with a bigger battery and 50 percent more driving range. The updated e-Golf receives a new 36 kilowatt-hour lithium-ion battery pack, compared with the 24 kWh system in the outgoing model. The bigger battery boosts range to up to about 200 km (124 miles) in everyday driving on a single charge, compared with 133 km (83 miles) on the previous model. An upgraded electric motor boosts power to 134 hp and 290 newton meters of torque compared with 115 hp and 270 newton meters for the older model. Other upgrades include a new optional 9.2-inch touchscreen, Virtual Cockpit digital instrument cluster and driver-assist systems. 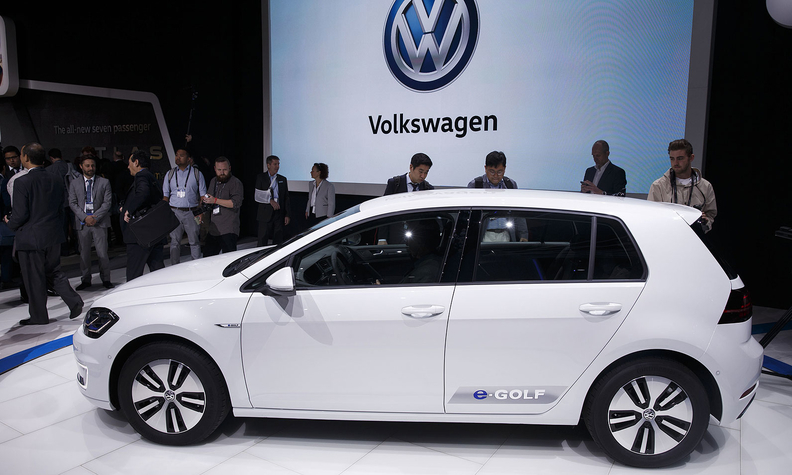 The new e-Golf was introduced Thursday at the Los Angeles auto show. VW revealed the e-Golf to foreshadow the company's plan to launch 30 VW Group EVs by 2025, as the automaker tries to distance itself from emissions-cheating violations that have dogged the company for more than a year. The first of those new EVs will arrive in 2020 with a Golf-sized electric vehicle with more than 482 km (300 miles) of range for a price close to a Golf diesel. VW previewed the next-generation EV with the I.D. concept at the Paris auto show in September. VW has said it will start building the new e-Golf at its factory in Dresden, Germany. The plant tops production in March after ending output of VW brand's flagship Phaeton.